Perhaps you really overdid it and you feel like today is a good day for some easy crackers. 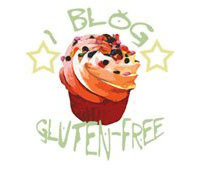 But where to find them..
It’s pretty cool to see stores other than your typical grocery stores jump on in and create gluten-free products. 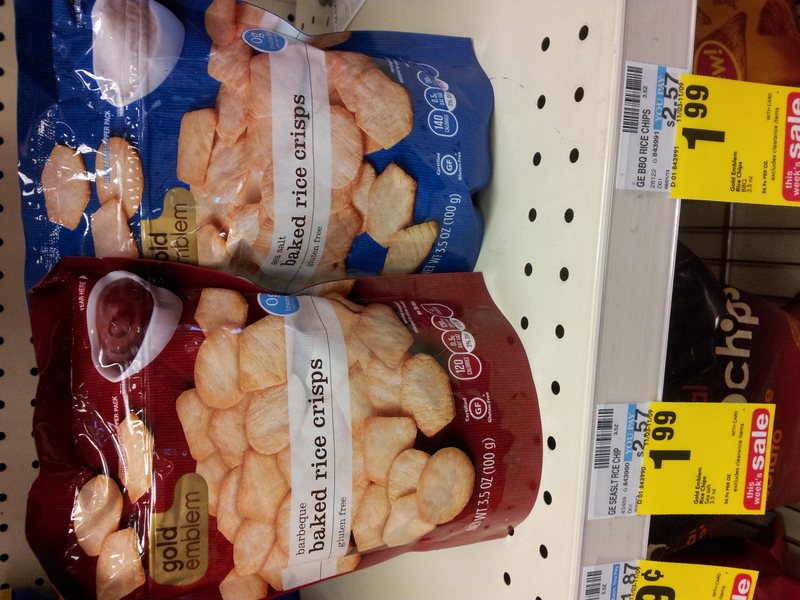 I recently received some samples of Gold Emblem Baked Rice Crisps from CVS. Yes, the pharmacy. These are not your typical rice crisps or crackers. Unlike any other cracker I have seen, these seem to be made of a whole lot of “threads” molded together. That’s really the only way I can figure to describe them. 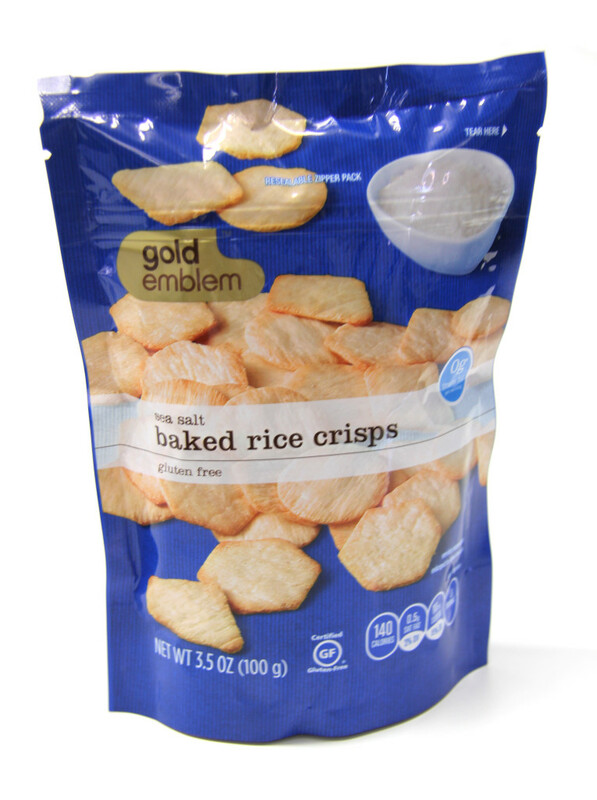 They are not the typical rice cracker that is one solid, smooth wafer. 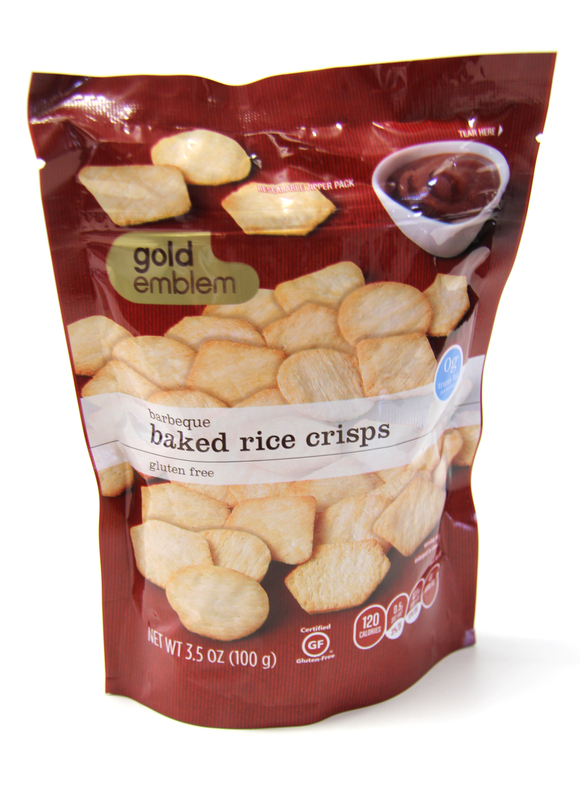 The Gold Emblem rice crisps come in two flavors, currently: Sea Salt and Barbeque. Each bag contains a variety of random shapes (the teacher in me says use this with little kids for a shape lesson!). The sea salt variety has just a tough of salt and a touch of sweet. Braden decided they were dip chips, or good for those not-so-happy-tummy days. 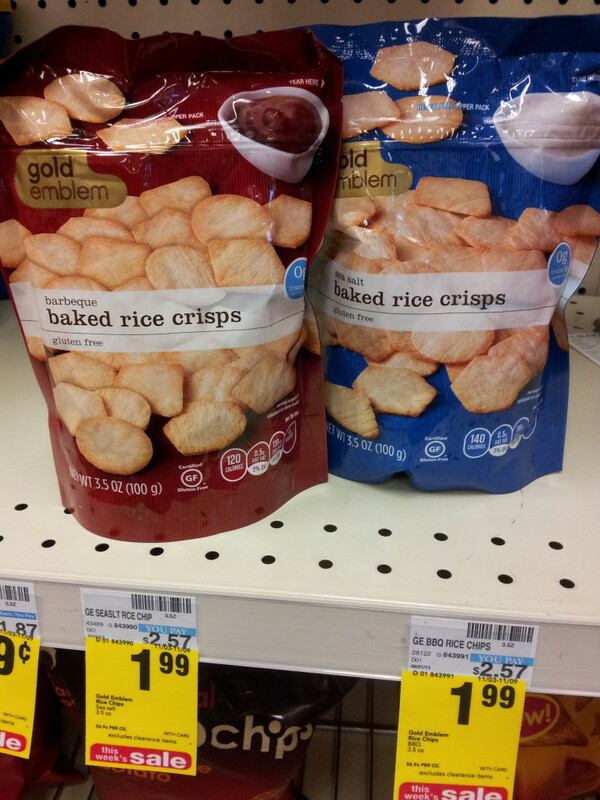 The barbeque chips have a sweet, smoky flavor. I can’t quite wrap my head around describing the texture of these crisps. They are very light and airy. They feel like something I remember, yet nothing I can think of. Braden eventually decided we should use these to celebrate the goodness of goat cheese. What a great combination! The Gold Emblem Baked Rice Crisps are certified gluten-free through the Gluten-Free Certification Organization. That means that the GFCO tests for gluten in incoming ingredients, final products, and even pulls some off the shelves randomly to test. They are currently pending approval for a non-GMO certification. 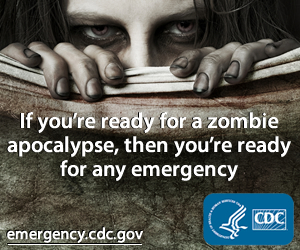 They are low in sodium, have no cholesterol, and are MSG free. Oh, look! I found them in their natural habitat.